Monday marked an important milestone for Iowa Governor Terry Branstad as he became the longest-serving governor in American history. 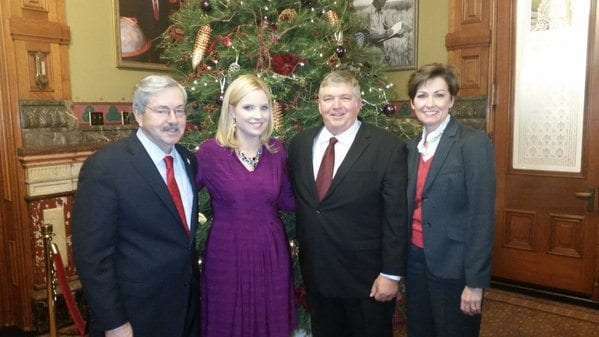 Branstad has governed the state for six unconsecutive terms – first taking office in 1983, leaving in 1999 and then returning to office in 2011. That’s just shy of 21 years. New Vienna native Steve Lukan, who serves as the Director of the Governor’s Office of Drug Control Policy, has gotten the opportunity to work closely with Branstad over the years. Lukan says those in public service can learn from the governor’s success and longevity. Lukan notes Governor Branstad’s passion for the state, and he says his election record speaks for itself.